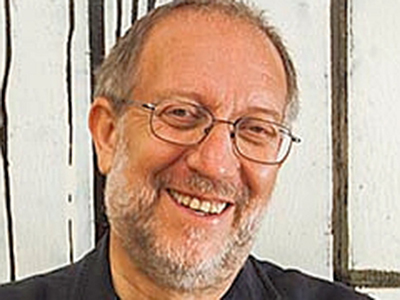 May 13, 2019, 7:00-9:00 p.m.
Join us for an evening with Yossi Klein Halevi, an American-born Israeli. A book-signing of Halevi's most recent book will occur following his presentation. Yossi Klein Halevi is a senior fellow at the Shalom Hartman Institute in Jerusalem. Together with Imam Abdullah Antepli of Duke University, he co-directs the Institute's Muslim Leadership Initiative, which teaches emerging young Muslim American leaders about Judaism, Jewish identity, and Israel. Halevi’s 2013 book, Like Dreamers, won the Jewish Book Council's Everett Book of the Year Award. His latest book, Letters to My Palestinian Neighbor, is a New York Times bestseller. He writes for leading op-ed pages in the U.S., including the Times and the Wall Street Journal, and is a former contributing editor to the New Republic. In 2013, Halevi was a visiting professor of Israel Studies at the Jewish Theological Seminary and served as a writer in residence at the University of Illinois. He was a senior fellow at the Shalem Center in Jerusalem from 2004 until 2010. Born in Brooklyn, he moved to Israel in 1982, and lives in Jerusalem with wife, Sarah, who helps run a center for Jewish meditation. They have three children. This event is co-sponsored with Temple Sinai inPittsburgh. This event is free with advance or at-the-door registration. Directions to the Seminary. Free parking is available on campus behind the Chapel and Library. Signage directing you to the evening's event will be available from the parking area. 0.2 CEUs are available to clergy upon request. Bulletin Insert. For your use in bulletins or to share with others who may be interested in this event. Questions about this event can be directed to ConEd@pts.edu or 412-924-1345.